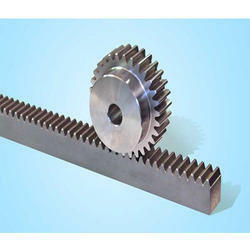 We are a leading Manufacturer of gear rack and gear pinion racks from Chennai, India. We have uniquely positioned ourselves as a dependable firm, engaged in manufacturing and supplying Gear Rack that is used in rack and pinion. The offered rack is manufactured using top notch quality raw material and advanced technology by our proficient professionals. In order to maintain the quality, this rack is stringently tested on different parameters by our quality controllers. In addition to this, provided rack is available in variegated specifications and sizes. 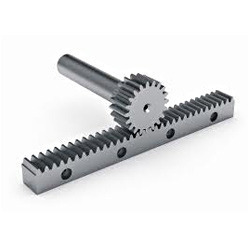 We have gained a remarkable position in the industry by offering a qualitative assortment of Gear Pinion Racks. The offered racks are manufactured using cutting edge technology and quality proven raw material in sync with industry guidelines. Moreover, these racks are tested under the guidance of quality examiners in order to offer defect free product at clients end. These racks can be availed from us in diversified specifications and customized options.